Jack Nicklaus, who is by far the most prolific modern golf course architect in Mexico with more than twenty Mexican designs to his name, set out the course at Club Campestre San José. Developed by Grupo Questro, the Golden Bear’s layout fits comfortably within a large residential estate that stretches out across the lower reaches of the Sierra del la Laguna Mountains, opening for play in 2007. The course routing brings elevation changes into play at a number of holes – with arroyos cutting across several of the fairways – and irrigation ponds are used to great effect at holes such as the par threes at the 9th and 16th. The par fives – two on each nine at holes 4, 7, 13 and 17 – are all strong three-shotters but it’s generally accepted the hardest hole on the card is played at the 439-yard 8th, where water hazards threaten tee shots on either side of a rather narrow fairway. The best way to play a course is not to do it after a long haul plus another 2hr flight, but it was my only option to play it on arrival day and thought it was worth to make the effort. We landed 12pm and went straight to the course: a short bath and directly to play on my own. 2h30mins was enough to complete the round including a big Club Sandwich at half way bar located in the Club House. The course has Seashore Paspalum coast to coast and believe me it was kept in pristine shape with greens rolling at a speed that looked like dwarf Bermuda. Although you have a view of the sea from every spot of the course, it is not near. The piece of land is a typical one from this part of México and architect Jack Nicklaus made a fantastic job around greens where precision is needed to the limit, being on the wrong side will raise difficulty of the chipping and putting. It is not an impossible course, it is tough but fair and from the tees you need to be sometimes clever and others brave to take your chances of going for those heroic carries. Some holes are really good: uphill short par 4 fifth hole has a very tough green, if short you may end 40 yds away from the pin position, then par 3 sixth is the signature hole and island green par 5 seventh is maybe the best hole on the course. Par 3 fifteenth is one of the highlights on the back 9, par 5 17th is not reachable and approach shot is very demanding, before very nice 18th where you have a split fairway and if you go on the left side the carry from the tips is almost 270yds. A great layout, extremely high quality of service, close to the Airport, this course is maybe the best option for arrival and departure days. 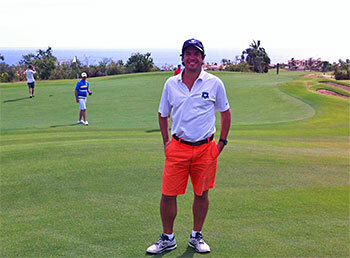 Do not miss the chance to experience a course kept as the private ones in Florida.